Happy Wednesday! 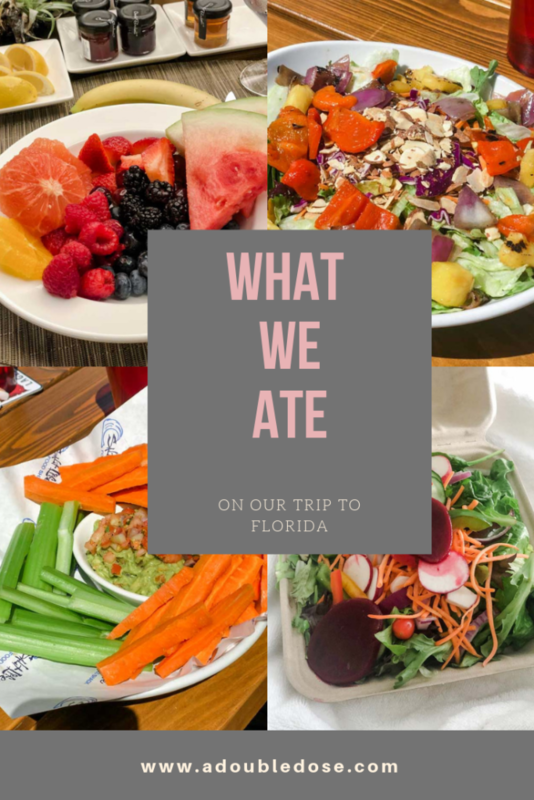 For today’s wellness Wednesday post, we wanted to share a lot of the meals we ate in Amelia Island, Florida this past week. 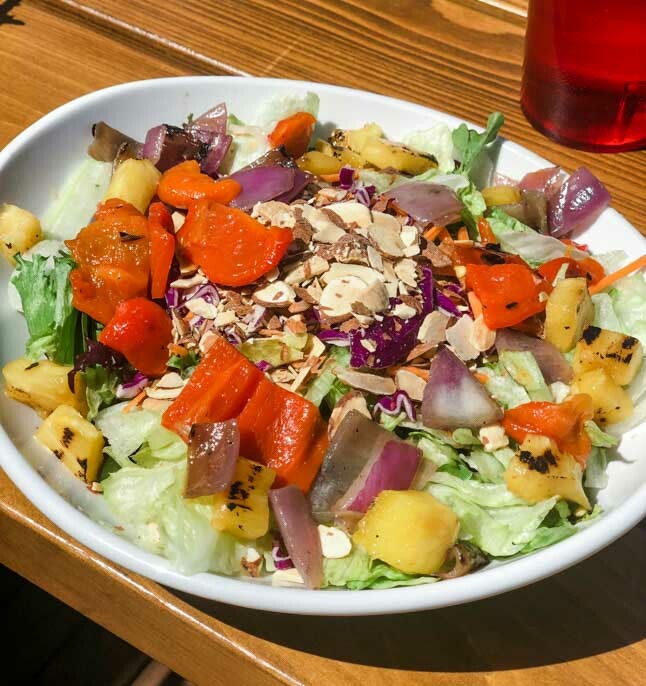 We know vacation is where people get overwhelmed about making healthy choices, so after living this healthier lifestyle for over six years, it has become a lot easier for us! That doesn’t mean we don’t eat other foods that aren’t as healthy, but a lot of you all want to see what we eat in a day, and meal ideas, especially when we are eating out! We did a post a few months ago about what we eat here. PS- this isn’t everything we ate on the entire trip, just some of the meals! 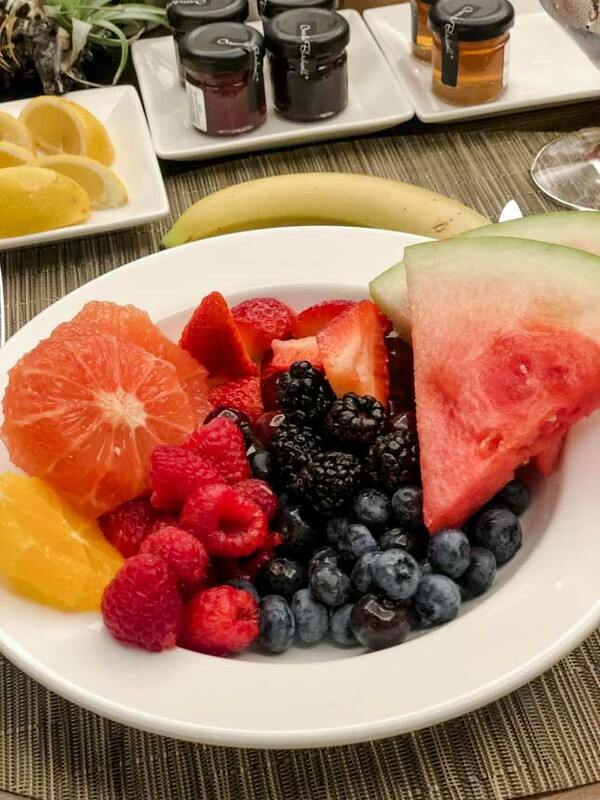 For breakfast, you all know that we love our fresh fruit! Each morning, we would have 2-3 BIG bowls of fresh blueberries, raspberries, strawberries, grapes, orange, grapefruit, watermelon, and pineapple. We would also have a banana and a red apple! 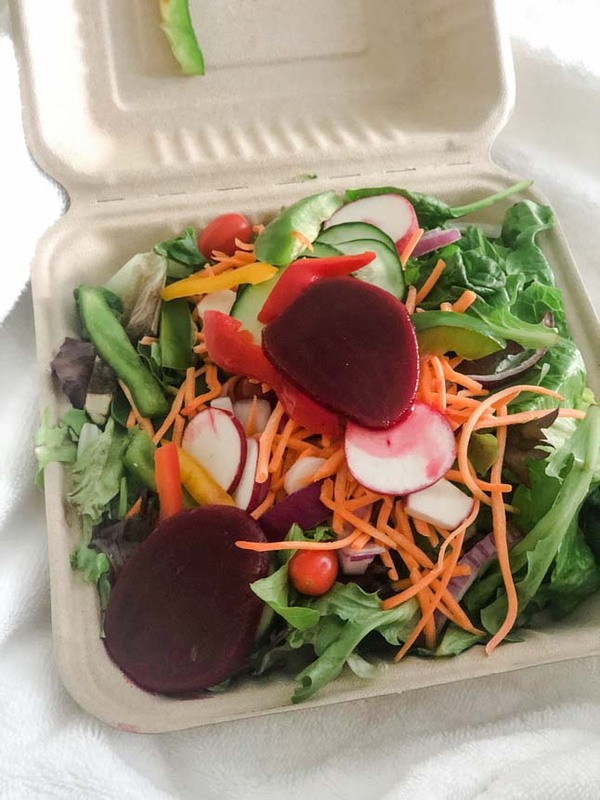 It is definitely more challenging to travel AND eat plant-based on-the-go. 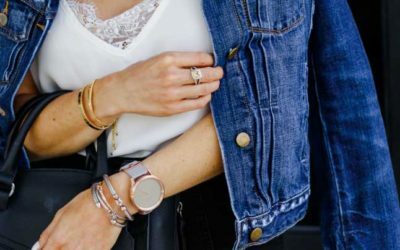 We use Yelp a lot to find spots, and highly recommend it! 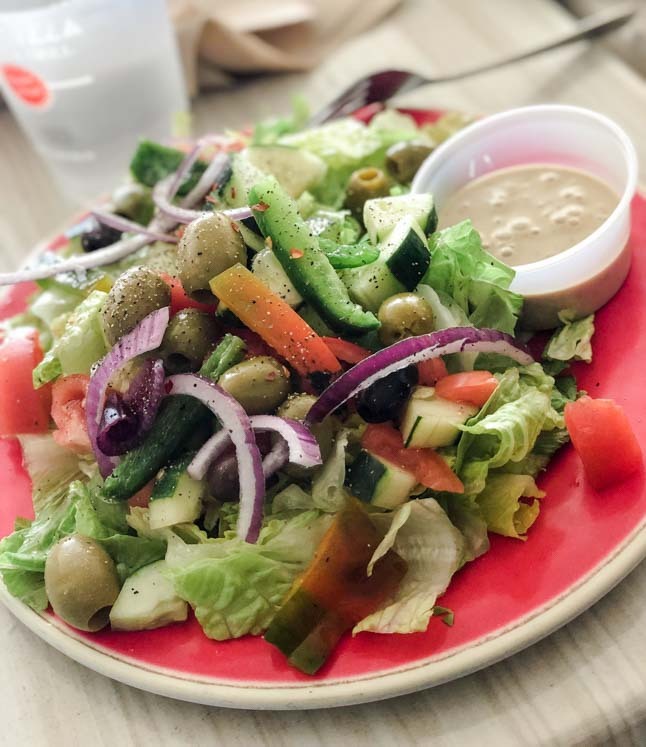 We like to look for Mediterranean spots because we love the food and that it is made with more natural ingredients! 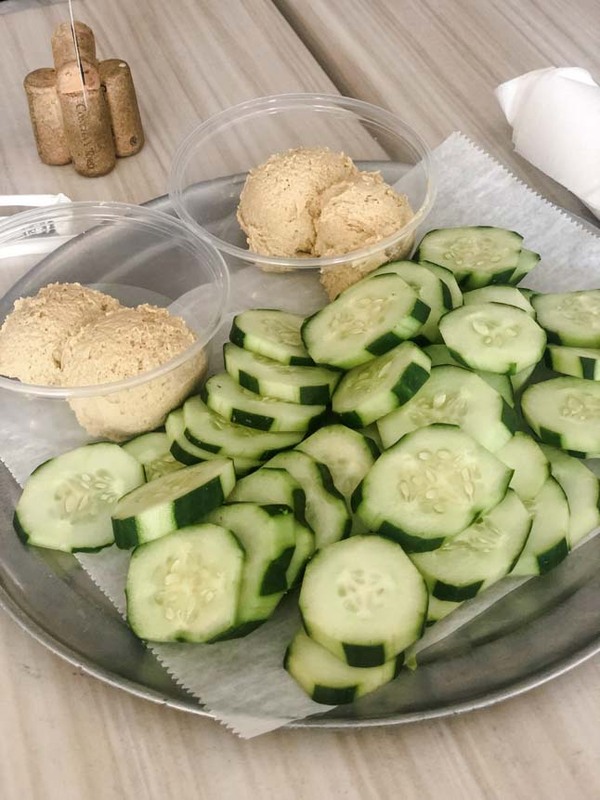 We found a spot called Sabbia that had a great salad and hummus! 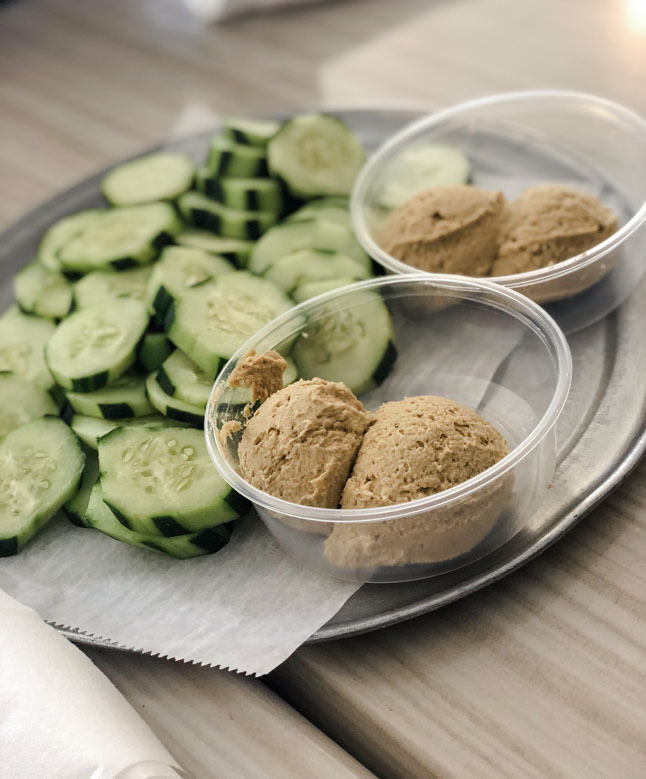 We asked for the hummus to be served with cucumbers instead of the pita! The hummus was delicious! For the salads, we got them with the dressing on the side and left the cheese off! Another day for lunch, we went to Salt Life, which had a great outdoor patio and really good food! Tons of seafood, if that is more your speed! 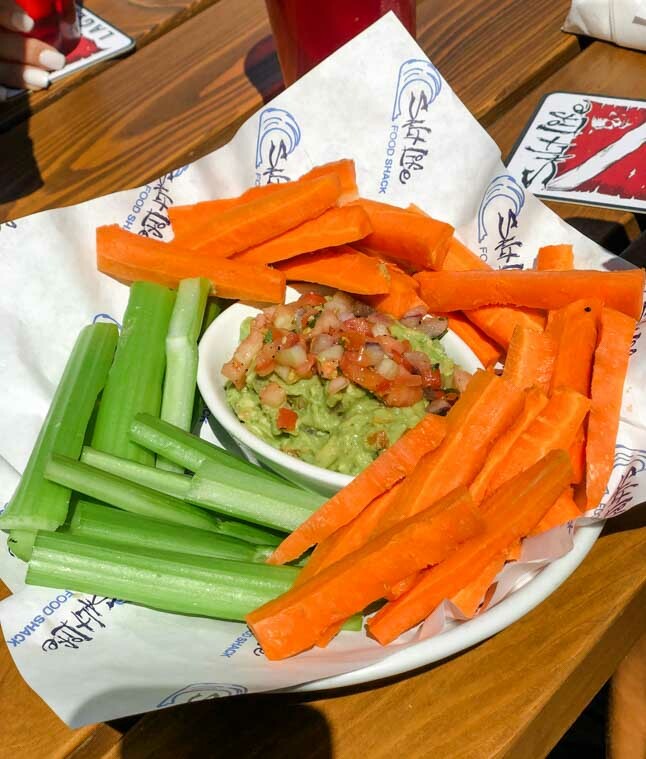 We got the guacamole to start, and asked for carrots and celery instead of the chips. For our meals, we got the Asian Salmon Salad (without the salmon, haha) and dressing on the side! 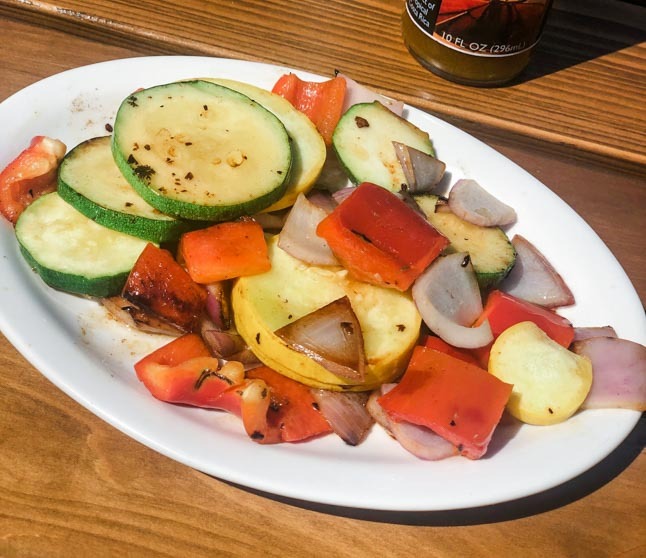 And, a side of grilled vegetables. Another day, we were still hungry after lunch (typical), so we went to the local grocery store and made a big salad from their salad bar! We got spring mix, cucumbers, peppers, carrots, beets, radishes, and tomatoes. For dinner, we ventured out to a few spots. One of them was a Thai place, Ahan Thai Kitchen, that ended up being really good! 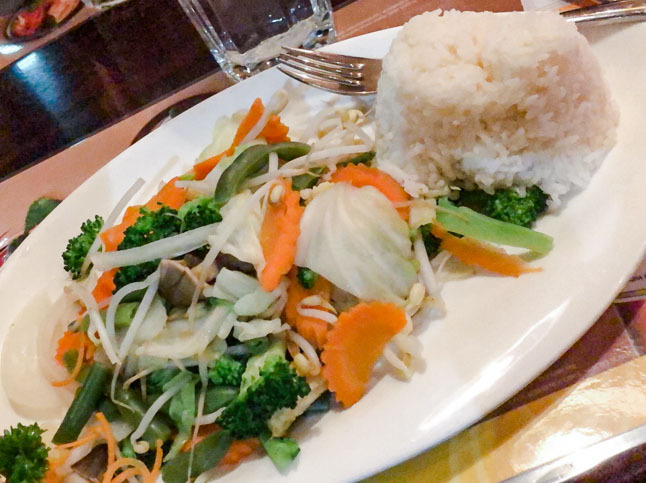 We got the vegetable plate, just steamed (no sauce) with white rice and asked for the chili sauce so we could put it on for some spice! We also ordered a salad to start! Another place we tried was called Pepper’s. It is a Mexican spot that ended up being pretty good. 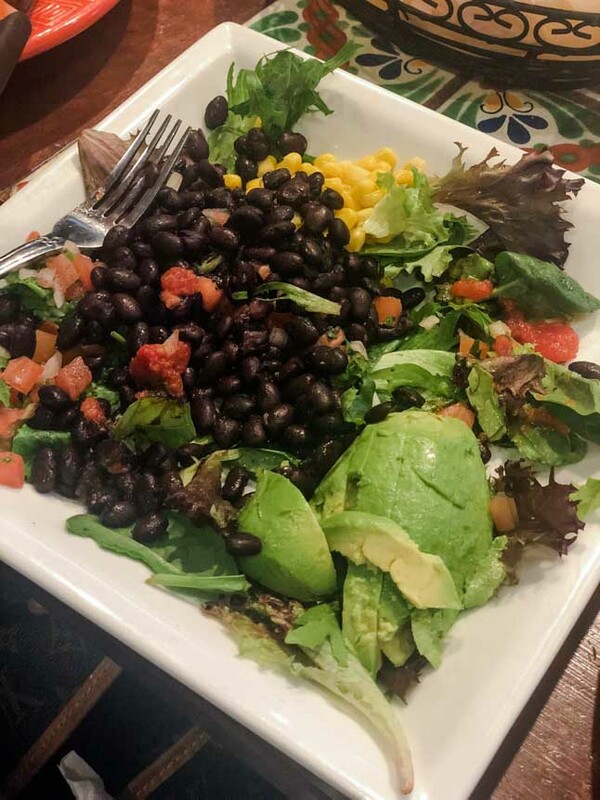 We started with a salad (no dressing) and asked for a side of salsa to use as dressing. 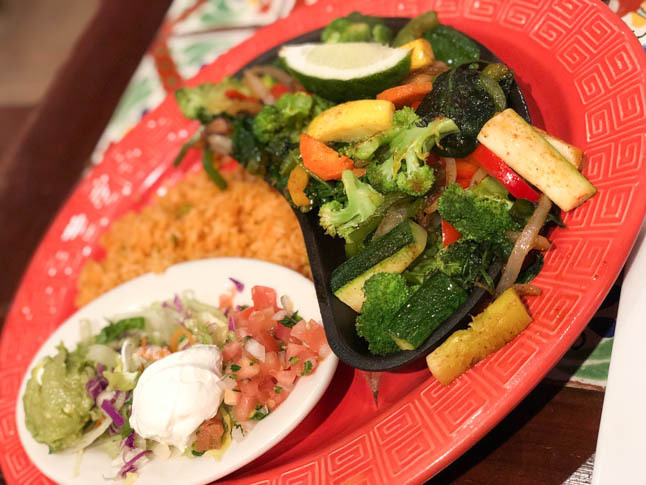 For our entrees, we got the veggie fajitas and asked for them to be prepared with olive oil (no margarine or butter).